Just War Reconsidered: Strategy, Ethics, and Theory. James M. Dubik. Lexington, KY: The University Press of Kentucky, 2016. The intersection of strategy and ethics in matters of war, national security, and military affairs has been lamentably and noticeably absent in recent years. There is a substantial scholarly literature in the Just War Tradition (Just War Theory) in military and philosophical ethics; and there are serious and substantial discussions of the nature and process of strategy that recently have become more visible, in public discussions of national security and military affairs. However, there is very little, if any, discussion of the intersections and connections between these ways of thinking about war and warfare. James Dubik’s book Just War Reconsidered is an overdue contribution to filling that gap. Just War Reconsidered is a creative and compelling contribution to the discussion of Just War Theory, military ethics, and strategy; it asks the reader to take seriously the idea of war waging (the management of the war by senior officers and civilian authorities), as distinct from war fighting (jus in bello, on the ground combat by military personnel and directed by military leaders), as a category within the ethical structure of how to think about justifying war. His argument calls for an additional category of to be added to the traditional jus in bello category of Just Conduct . This new category, war waging, includes 5 moral principles: 1) the principle of continuous dialogue; 2) final decision authority; 3) managerial competence; 4) legitimacy; and 5) resignation. Traditionally there are three considerations in the moral justification of war: 1) jus ad bellum or the moral justification of the resort to force, including ideas like just cause and proper authority; 2) jus in bello or moral permissions as to what kind of force and tactics are allowed; and 3) jus post bellum or the justice after the war. Dubik gives a good overview of the major elements in this tradition and includes critical discussion of the godfather of Just War Theory, Michael Walzer, as well as some of the recent revisionist criticisms of Walzer’s accounts to lay out the landscape against which he is arguing. He makes the case that the current way of thinking has no conceptual tools to assess risk at the strategic level and fails to take into account the on-going strategic adjustments and decisions that must happen between civilian authorities and senior military in the process of managing the waging of war (as opposed to the fighting of war, that is combat). He also provides some critical analysis of the agency relationship between civilian authorities and the military, addresses the role of dialogue in war, and addresses the decision-execution regime in thinking about leadership. He then concludes with discussion and justification of the five moral principles he claims provide the missing conceptual apparatus in the jus in bello part of Just War Theory to address how war waging needs to be addressed. There is a heavy focus on the process of making decisions and execution in action as dynamic and not just top-down, as conventional accounts have typically presented. He also addresses the change in the character of war and what impact this has on how decisions are made and how strategy must adapt as the war progresses, with a heavy focus on Elliot Cohen’s ideas of unequal dialogue between military and civilian authorities. Dubik’s analysis is peppered with case studies and lessons from the Iraq and Afghanistan wars, Vietnam, and other historical conflicts, supporting his arguments in much the same style as Walzer. In Just War Reconsidered, Dubik has identified a critical conceptual gap in Just War Theory, especially with regard to the relationship between the military and civil leadership involved in waging, as opposed to fighting war—particularly when it comes to the role of strategy and risk in the managing/waging of the war. He makes clear that there are ethical responsibilities and strategic considerations involved in the ongoing execution and management of war that are distinct from those inherent in the tactical fighting of the war. 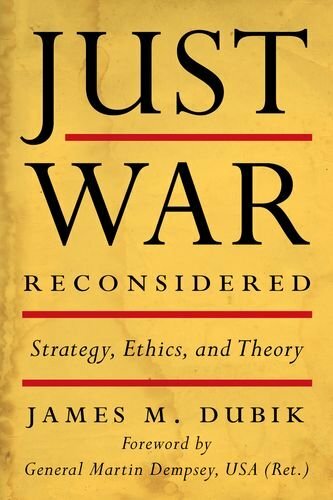 What Dubik has done is carved out and defined the critical intersection of ethics and strategy in the pursuit of the war aims established by jus ad bellum decision processes. This is an important contribution, especially from his vantage point as a retired general officer, in that he is able to bring practical experience to bear on the necessity to fill and address this conceptual space in the debate. To highlight the nature of this contribution and give judgment of the content of his claims, I want to (Socratic style) pose some questions. First, should this new conceptual space/category actually be part (a new category added to the usual categories of discrimination and proportionality of means) of jus in bello in Just War Theory? Traditionally jus ad bellum considerations and judgments are the domain of the political leadership (in the case of the U.S., civilians, with input and advice from senior military) and the jus in belloconsiderations are the domain of the military (with the assistance of lawyers). Dubik argues the conceptual space he has identified is a missing element in the jus in bello part of the theory, but I actually think it is a bridge and a link between the two and so deserves its own conceptual category. War waging seems to go back and forth and to share considerations, judgments and impacts on both jus ad bellum and jus in bello and therefore, a separate category (Justice of Waging/Management of War) would make more sense and highlight the importance of these ethical considerations in their own right and serve as a bridge between jus ad bellum, jus in bello, and jus post bellum. Second, to what degree are the five principles he identifies moral as opposed to prudential? What are the moral obligations involved in these principles? On the surface, they appear prudential in the sense that they are best practices for how to wage and win a war in a context where the responsibility for waging the war is seen as a collaborative effort between civilian and senior military leaders. If one wants to be successful and effective in war, one will follow Dubik’s five principles as a matter of prudence and strategy. Why muck things up by thinking that there are moral considerations here? While there are important prudential considerations in the five principles, I would note the underlying theme that warfighters have a moral obligation to remain moral agents and not just operate as instruments of the state, as do the senior military leaders. In the debate between the classical Just War and revisionist view, Dubik seems to largely take the side of the revisionist in seeing moral responsibility in war as primarily indexed to the individual rather than the state. Dubik even argues these principles should be used in training, education, and selection of military leaders, which gives more credence to the reading that these principles are rooted in the moral obligations and code of military honor and professionalism. Third, how does Dubik’s account help us think about the lack of attention to risk and risk assessment as a moral category within war waging? Presumably all leaders, both military and civilian, have moral obligations to minimize combatant and noncombatant suffering and death for their own people as well as the adversary. Therefore they must think about how to deploy humans and weaponry in pursuit of military aims consistent with achieving the ends and aims of the war, as justified under jus ad bellum. 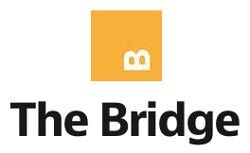 A new category could provide a bridge between proportionality of ends (jus ad bellum) and proportionality of means (jus in bello) as a way to ground and re-evaluate these assessments as the war progresses. Despite these questions, which are really designed as friendly amendments and criticisms to push forward and deepen Dubik’s excellent account, his book serves as the beginning of a broader and necessary discussion that involves both strategists and ethicists. Serious and deep work is overdue and critical in this area as we wage wars in complex, changing and often asymmetric environments and this work raises a range of important questions. What is the intersection between war waging and war fighting as conceptual categories? Strategy seems to connect the jus ad bellum and jus post bellum categories, but has less impact or connection at the war-fighting or combat level. Is this traditional judgment wrong? Are there different levels and kinds of strategy? There is discussion of the difference between strategy and grand strategy, but is there another category more related to the tactical war fighting level? What are the ethical considerations and principles that we must think about for each level? In short, Just War Reconsidered is an absolute and urgent must-read for scholars of Just War, ethics, and strategy, as well as anyone involved in the enterprise of war—military and civilian alike. And after reading it, an energetic dialogue needs to develop and be sustained as the implications of this important contribution are gradually worked out. Dr. Pauline Shanks Kaurin holds a Ph.D. in Philosophy from Temple University and is a specialist in military ethics, just war theory, social and political philosophy, and applied ethics. She is Associate Professor of Philosophy and Chair, Department of Philosophy at Pacific Lutheran University and teaches courses in military ethics, warfare, business ethics, and history of philosophy. James M. Dubik, Just War Reconsidered: Strategy, Ethics, and Theory (Lexington, KY: The University Press of Kentucky, 2016), 9. Ibid., 11. Here he references David Luban’s discussion of this issue in international law.